Dubai, December 9, 2018: Al Ghurair Centre, the GCC's first shopping center, join hands with Nike Middle East, the global sportswear giant, to further promote the brand's much talked about ‘We Play DXB' campaign that has set in motion a number of city-wide events and installations honoring the city and its love for sports. 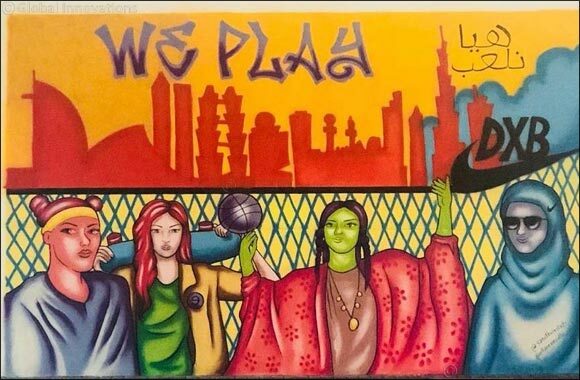 As part of this popular campaign by Nike, Al Ghurair Centre is one of the iconic landmarks in Dubai featuring graffiti murals by well-known artists that depict the diverse and eclectic mix of the city's youth and aspiring local athletes. Located at the Dining District, the massive mural will be part of Nike's global graffiti collection that aims to build a creative & diverse space and make a positive impact in communities where we live and work. The mural is upon display for art enthusiast and guests to view.